IHG® Rewards Club - Filmes - O Lucky Man! 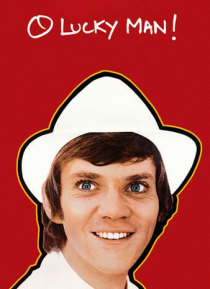 A tenacious young British man, Mick Travis (Malcolm McDowell) is determined to be successful. Starting off as a coffee salesman, Mick is soon promoted within his company. Then things take a series of bizarre turns, and Mick is abducted by a military agency. Later, he becomes smitten with the gorgeous Patricia (Helen Mirren) and winds up working for her father, sinister executive Sir James Burgess … (Ralph Richardson). As Mick's tale continues, his experiences get progressively stranger.